Posted byDan	 May 10, 2006 August 21, 2012 2 Comments on Yay! Dreams can come true! 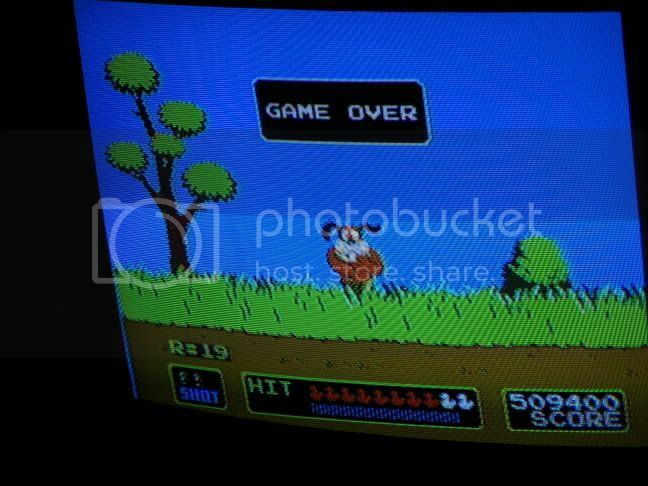 Duck Hunt 2. *Update* – Steve informed me of a cool addon for the Wii remote, the Light Gun Shell! We wants a Wii, Precious! The debate betwixt Xbox (Halo3 looked pretty sweet!) and Wii has come to an end with this post. It’s Wii for me. (I wish they didn’t have to call it Wii though!) GO NINTENDO! Duck Hunt 2? Metroid 3? Zelda TP? ExciteTruck? WarioWare? Red Steel? These games just keep getting better and better! Speaking of Duck Hunt, just the other day I got a gray light gun with Duck Hunt at our local thrift store/pawn shop/year-long garage sale. Ive been working on my high score. This is my best one yet.